With two thriving teens in my house, (ages 13 and 15) I thought I could use some inspiration on how to let go without losing it. My kids are my life and letting them go in this scary world is...well, scary! Although I'm not big on devotionals, (I prefer reading the Bible daily) I decided to read The Joy of Letting Go. With two thriving teens in my house, (ages 13 and 15) I thought I could use some inspiration on how to let go without losing it. My kids are my life and letting them go in this scary world is...well, scary! 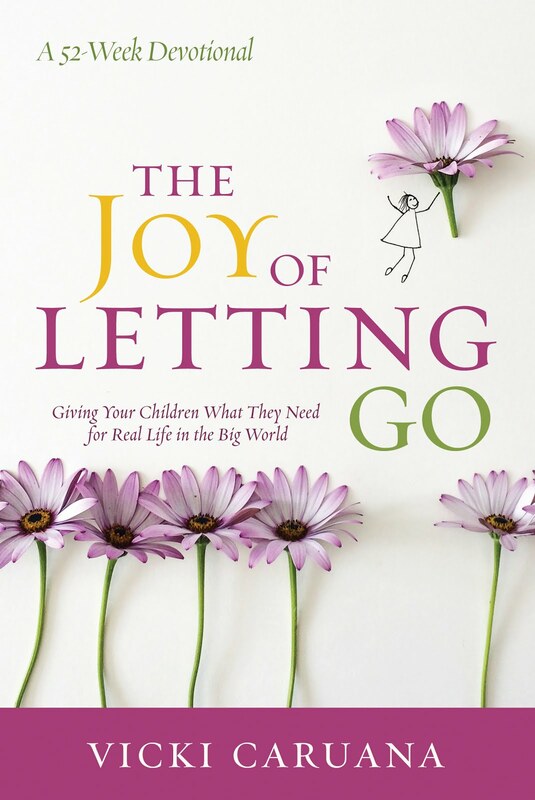 Although I'm not big on devotionals, (I prefer reading the Bible daily) I decided to read The Joy of Letting Go. It's a smallish book that can easily fit into your purse and includes 52 devotionals that read more like a short snippet or story about an experience the author had when parenting her two boys. Each devotional has a title, a quote at the beginning and a Thought Poke at the end with a few questions and a scripture that is meant for the reader to meditate upon. Although I appreciated reading about her family experiences, I cannot say that this book was inspirational. Most of what I read was common sense, a little superficial, and felt more like a memoir of a mom who is proud of her parental achievements. I have read many parenting books and those that have helped me apply scriptural counsel, and did not feel like this was one of them. There are so many deep issues that kids go through today. They have to navigate through a very competitive world that is plugged 24/7 and spews out information overload. More than ever, there is a high level of depression among our teens, along with suicide, eating disorders, cutting and bullying. As a mom, my daily concern is to help my children navigate through all this with God's help and and to let go appropriately and at the right time and...to do it joyfully, which is not easy when kids are experiencing growing pains and hormonal fluctuations! I guess I was expecting more from this book. However, if you have children that are getting ready for college, this book may be useful in seeing how this one mother handled letting go of her two sons as they readied for independence. To read more reviews, please visit Vicki Caruana's page on Litfuse Publicity. Dr. Vicki Caruana is the author of 20 books and the blog Apples & Chalkdust —named after her bestselling book that has touched the lives of a million educators around the world. Caruana is one of four parenting experts on Starting Points, Focus on the Family’s parenting DVD series. 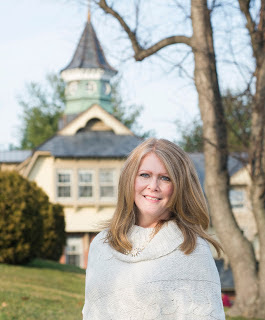 Formerly a public school teacher and a homeschooling mom, Vicki is now an assistant professor of education at Mount Saint Mary College in New York. She lives with her station wagon loving husband, Chip, in Newburgh, New York and has two grown sons in Colorado Springs. Sounds like a good concept for a devotional. Your review reminds me of how relieved I felt when our youngest graduated high school. All three of our kids went on to college but by that time they're mostly out of the nest. Yeah...we need to be vigilant as parents of teens in high school. So much stuff going on! I'm not there yet, but my daughter is 16 and by next year she will be looking into college. Here in Quebec, they are referred to as CEGEP which is obligatory if one wants to go to university.